Please Stand By: Bethesda is About to Announce Fallout 4! Fallout Countdown Timer. 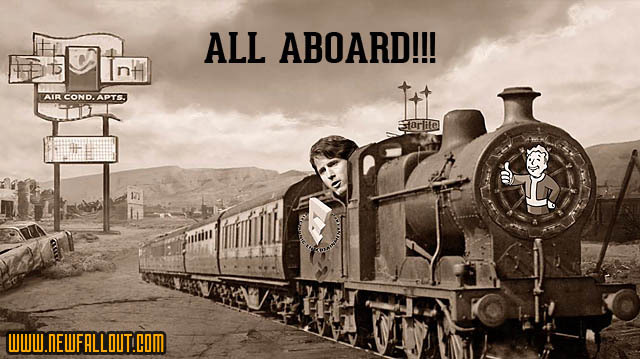 Fallout 4 may or may not be on its way. We don't know yet, but we will find out for sure soon. Meanwhile, let's have a look at the Fallout countdown timer Bethesda put up today. FALLOUT 4 HAS BEEN CONFIRMED. I REPEAT: FALLOUT 4 HAS BEEN CONFIRMED!!! Fallout Countdown Timer - What Does it Mean? Just hours ago, Bethesda put up a Fallout countdown timer on their Website. The timer counts down to an announcement, which will apparently take place tomorrow at 7 am PDT / 10 am EDT / 2 pm GMT (UTC). What could all this mean? Now, before you ask, NO, THIS IS NOT ANOTHER HOAX, the Website is legit. We can see the usual Bethesda trademark information on the bottom of the page. Even more, the official Fallout pages on Facebook and Twitter announced the mysterious event at the same time, adding the familiar hashtag #PleaseStandBy. Bethesda Softworks also posted about this, so this is as legit as it gets. This info came directly from official channels. Getting back to our counter, there is a reference to Masterbrain in the page's source code. PA system failure has occured. Shutdown of the Masterbrain has been authorized and all sensitive materials have been removed for security purposes. Please attempt re-access. Have a pleasant day. "You have accessed the Masterbrain's internal mechanism. If you destroy its uplink, it will cause all the automated security units in Vault-Tec to shut down." "Shutdown of the Masterbrain has been authorized..."
It's weird to see Bethesda announce the game BEFORE their E3 conference on June 14, but it's happening. Fallout 4, the sequel to Bethesda's 2008 post-apocalyptic RPG, is one of the most anticipated games of the decade, and it's been driving everyone nuts for years now, including us, the admins of Fallout Pages. Back in December of 2013, Otaku posted leaked casting documents indicating that the next Fallout would be in Boston, but we haven't heard much since then, despite countless fake Fallout 4 rumors. Did you read that? PREORDER! Even more, based on the icon.png list in the CSS, it looks like Fallout 4 it's going to be released on 360 and PS3 too. Does that mean that there ISN'T going to be a new engine? Is Bethesda going to use an updated version of Creation Engine (used in Skyrim) for Fallout 4? So... Skyrim with guns then? What do you guys think about that Fallout countdown timer? Will Fallout 4 be announced tomorrow? Are they going to tease it before E3? Recommended for you: Fallout Facts.